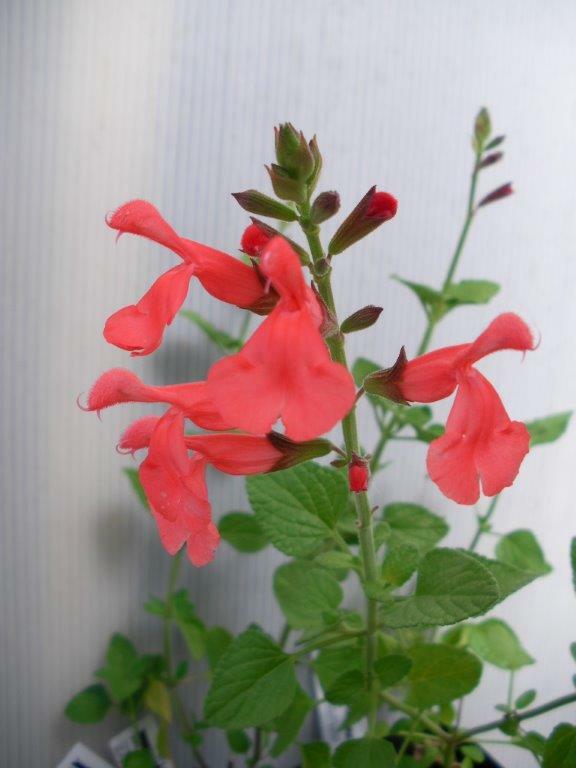 This salvia is one of the many American crosses of salvia oresbia (darcyi) and microphylla. 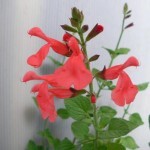 It flowers orangey scarlet in warm weather. ‘Silke’s Dream’ will grow up through a light bush or could be grown through mesh to 1.5m. Otherwise it could be pinched to keep it a compact shrub. Lambley Perennials grew quite a lot of it in the summer of 2013/14 which I thought was rather an odd choice as it needs quite a bit of pruning. It is reasonably cold and drought hardy . It would have to be grown as a cutting to be sure to have an identical plant.